Over the past several months I have received telemarketing calls from MerchantCircle.com. Although flattered, I am highly certain after having visited their website after each voice mail – no such thing occurred. 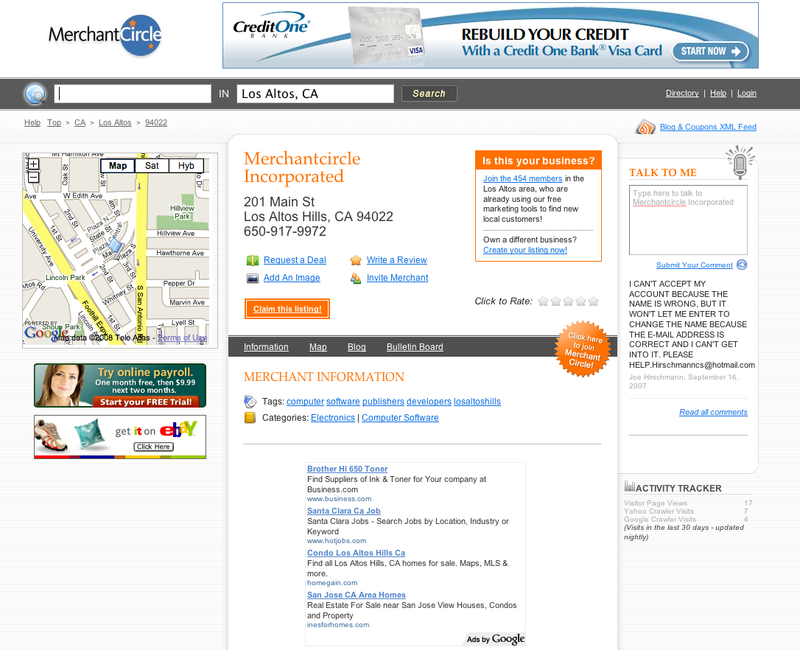 To Merchant Circle’s credit, using an auto dialer to drum up local advertising business is somewhat innovative but in my particular case whom does MerchantCircle.com think they are kidding? This entry was posted on January 17, 2008 at 4:17 pm and is filed under Advertising, Auto Dialer, Google, MerchantCircle.com, Telemarketing, Websites. You can follow any responses to this entry through the RSS 2.0 feed. You can leave a response, or trackback from your own site.